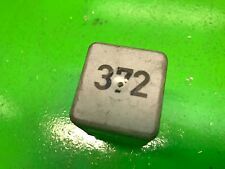 Audi VW Seat Skoda (No.219) 5-Pin Black Relay 443951253AA 899574000 12V 25/10A. Genuine5 PIN No. 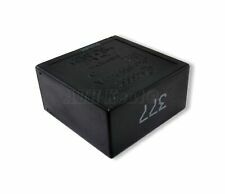 219Black Relay /Multi -Use Relay. GenuineAudi / VW Part. Part Number:899574000. Made inIreland. 12V KL87 25A & KL87a 10A. OEM 1J0906381A, 357906381A. VW Audi Seat Skoda Diesel Number 109 ECU Relay / Fuel Pump nucite. 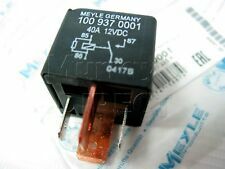 Type 4 Pin Relay. PART NUMBER 7H0919506F. For the VOLKSWAGEN TRANSPORTER T5. You must notify us within 48 hours of receiving the item so collection can be arranged. Engine warranties are only valid if new cam belts/idlers/tensioners are fitted prior to installation - proof will be required in the event of a claim. 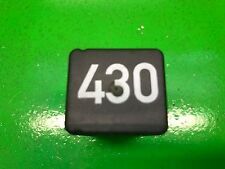 VW T4 TRANSPORTER 1990 - 2003 FUEL PUMP RELAY NUMBER 30 165906381 IN VERY GOOD PRE-USED CONDITION FREE UK DELIVERY , ALL POSTCODES EXCEPT CHANNEL ISLANDS 28 DAY WARRANTY ON ALL PARTS, ALL PARTS ARE WORKING UNLESS OTHERWISE STATED. For sale is a vw t4 1.9 td abl 137 relay in good working order from a 1998 van. OEM: 1J0919506K / 1J0919506Q. Bora 1998-2006. New Beetle 1998-2010. Golf IV 1998-2005. Polo III 6N 1999-2001. Octavia I 2001-2010. Suitable for VW Beetle, Bay Camper, Karmann Ghia, Type 3 Fastback, Squareback, Notchback 1971-79. Relay, Indicator, 3 Pin, 12V, All Aircooled VW Models 1971-79, Each. 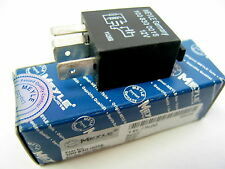 "A very good quality 3 pin modern electronic relay for use on all 12 volt models. For all 1968 to 1991 VW Beetles, Type 2 campers & Type 25's. 30 - To fuse box (Direct live). Head light dip to main beam relay 5 pin 12 volt. 56 - To Light switch (switched live). VW Transporter T4 1990-95. We have a friendly and knowledgeable team who are more than happy to help. REFERENCE OEM NUMBERS. VW Accessories. VW Body & Interiors. VW Electrical Systems. Our parts are original VW used parts, so you don't have to compromise on quality when making huge savings. VW Engine, Clutch. VW Exhaust Systems. VW Beetle 1999-2010. VW Caddy 1996-2010. VW Golf 1992-2006. VW Lupo 1999-2006. VW Polo 1995-2008. VW Sharan1996-2010. VW Touareg 2006-2007. VW Transporter 1996-2006. VW POLO (9N_) (2001/10 - 2012/01). SKODA OCTAVIA (1U2) (1996/09 - 2010/12). SKODA OCTAVIA Combi (1U5) (1998/07 - 2010/12). SKODA OCTAVIA (1Z3) (2004/02 - 2013/06). SKODA OCTAVIA Combi (1Z5) (2004/02 - 2013/06). 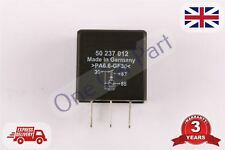 429 Main Power Relay in German OEM Quality for VW Audi SEAT & Skoda. Description Features: Low Power Consumption and Low Temperature, Eco design, Safe and reliable 14 terminal / 4 prong connections Replaces part numbers: 1JO 919 506K 1J0-919-506-K , 1J0919506K, 1J0 919 506 K, 1J0-919-506K, 1JO919506K 89 8972 FCU ; FCM ; FCR Don’t refer to the year Model in the listing title only, please check your car in the compatibility chart..
We send parts to every country all over the world. Our aim is to get your satisfied and we do our best to describe the following item as good as we can and show it in the picture. Credit/Debit Card. 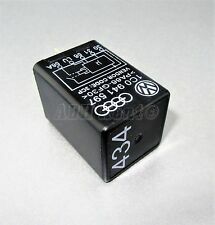 Audi VW Seat Skoda Silver Relay 4-Pin. Skoda (Almost all models) (1984 - 2013). 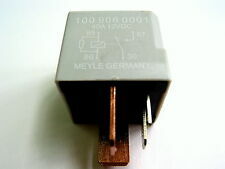 Genuine 4- PINWhite / Silver Relay No. 449 Multi Use Relay. Genuine Audi / VW Part. VW (Almost all models) (1984 - 2013). 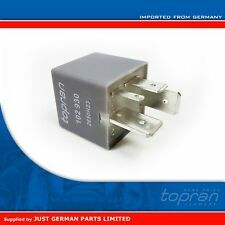 Genuine VW, Audi,Skoda, Seat, Multi Use Relay No 53 Part Number 141 951 253 B. Condition is New. Dispatched with Royal Mail 2nd Class Large Letter. Stage 2 Bosch Ecu came of a tuned 1.8t mk1 Seat Leon FR, will fit other 1.8ts Audi, golf bora..etc... needs vagcom reset!!! Dispatched with Royal Mail 1st Class. 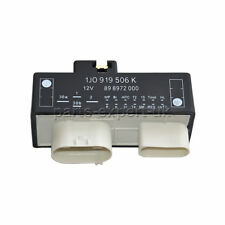 DIESEL FUEL PUMP RELAY 167 AS SEEN IN THE PICTURES. PART NO: 191906383C. OPENING HOURS LITTLE BENTLEY. RAVENS GREEN.